The Wildwood Bike Trail has 5 miles of challenging terrain. Hugging the shores of the Tennessee River, Florence is a mostly known as a destination for boating and fishing. 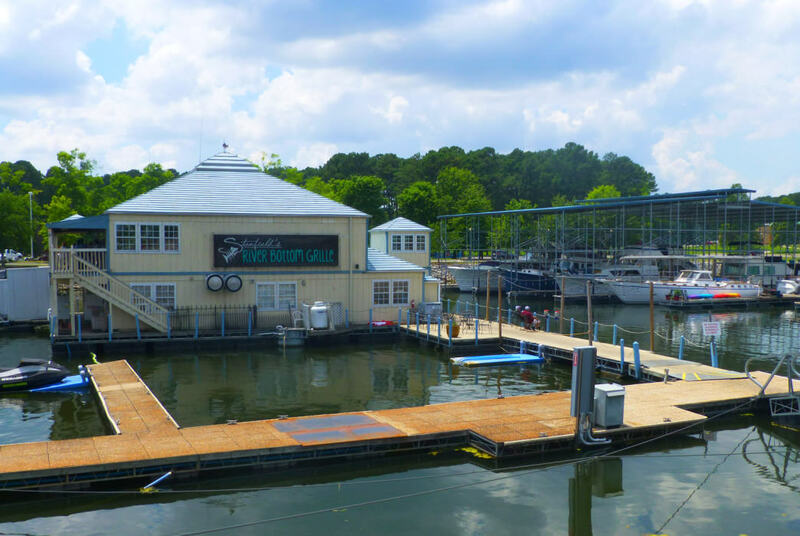 But this small Alabama city is full of surprises for the savvy adventurer. If you know where to look, you’ll find many other excellent opportunities to explore the outdoors. Within city limits, you can retreat to pockets of quiet woods and test your mountain biking skills on challenging singletrack. Just west of Florence, you can kayak or canoe down Cypress Creek, a calm tributary of the Tennessee River that’s surrounded by forest. A few miles south, the Cane Creek Canyon Nature Preserve has 15 miles of trails that lead to waterfalls and wild streams. You'll find plenty of places to fuel up and wind down after a day of activity, too. In rustic storefronts and old, faded buildings, outstanding coffee, tasty biscuits, and excellent craft beer create a lively dining scene. And don't miss the chance to dine in the town's only floating restaurant, which serves top-notch seafood. If you’ve only passed through Florence, it’s time you lingered to see what this town really has to offer. From its remote trails and waterways to its charming eateries, here’s a guide to the perfect outdoor weekend in Florence AL. Looks can be deceiving. That’s the first thing you learn when searching for great food in Florence. While the exterior of Staggs Grocery looks weathered and worn (and the interior ain’t fancy at all), the café’s cured-ham biscuits will soon make you a believer. Omelets are another popular breakfast item, and Staggs serves juicy burgers for lunch, too. Another option to fuel your morning is via a rich cup of coffee at Rivertown Coffee near the University of North Alabama. Unlike a noisy Starbucks, Rivertown has a laid-back vibe, where you sit in old wooden chairs amidst walls covered with funky artwork for sale. In quiet corners, local business people chat while students read or work on their laptops. Rivertown also serves bran muffins and tasty grilled-cheese sandwiches you can pack up for your day's adventure. Best suited for intermediate and expert riders, the Wildwood Park mountain biking trail includes a large main loop and several small loops that you can combine for a ride that’s 3-to-5 miles long. Known for its difficult terrain, the Wildwood trail includes numerous short, steep climbs that will tax your legs and lungs. Roots, rocks, gullies and other challenging obstacles make for a ride that will keep you on your toes. To get there from the intersection of Waterloo Road and Wildwood Park Road, travel northwest on Waterloo Road for about 200 feet. The trailhead is on the right at a wide shoulder in the road. 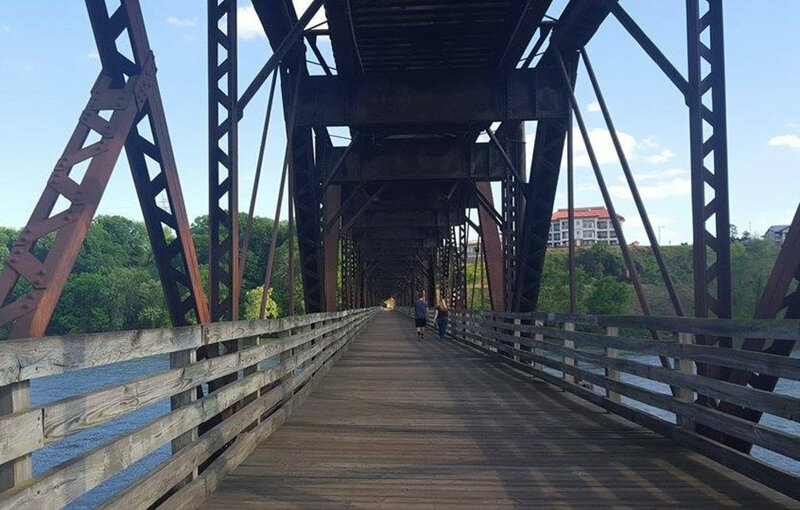 As the Tennessee River courses through Florence, it provides a gorgeous backdrop for a hike or bike ride on the paved 2.5-mile TVA Nature Loop. After you pass through a tranquil wooded area, you’ll arrive at the Old Railroad Bridge, which dates back to the 1800s. If you time your trip just right, you cross the bridge to catch the sunset and beautiful views of the Tennessee River and McFarland Park. The 60 campsites at McFarland Park lining Tennessee River make for great views of the waterway, whether you’re resting in a tent or lounging beside your camper. Beside the water there’s a wide lawn where you can picnic, throw a Frisbee, or just relax and watch boats sail by. 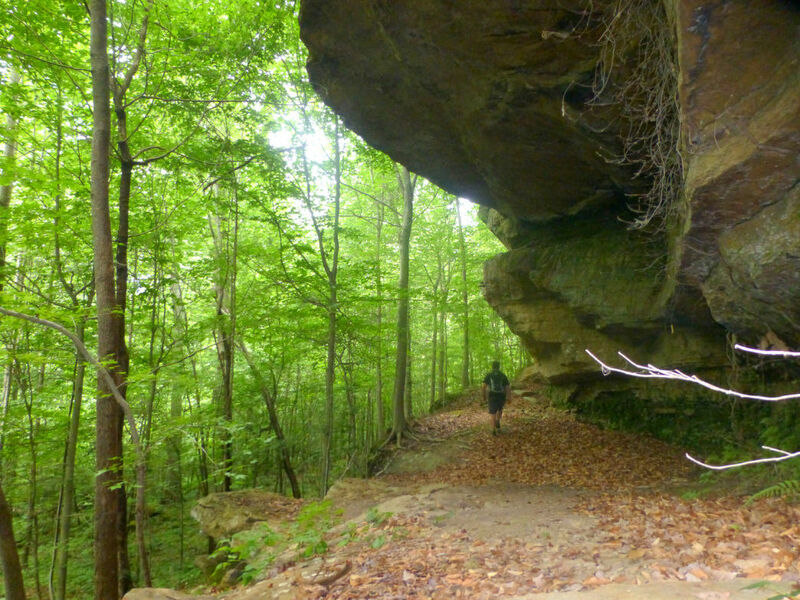 One of the best hiking trails in North Alabama is just 30 minutes south of Florence. 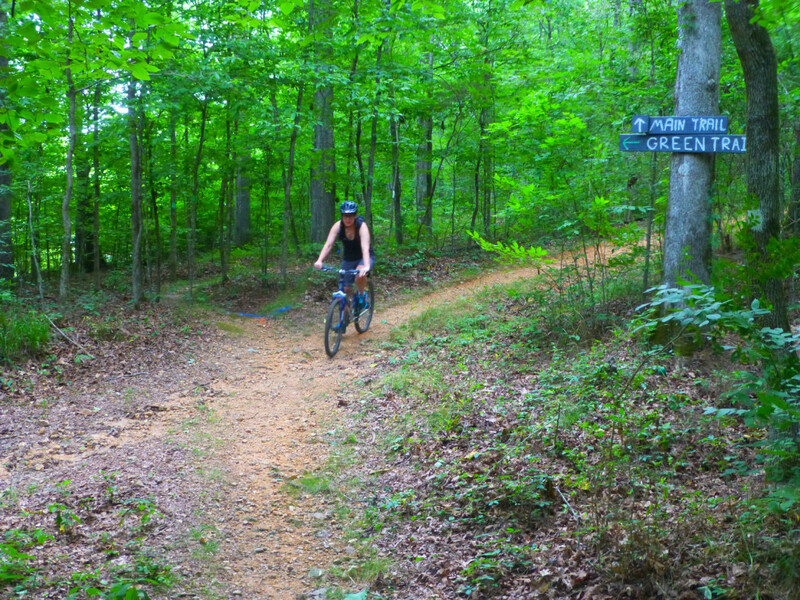 Covering 700 acres, the Cane Creek Canyon Nature Preserve has 15 miles of hiking trails that explore scenic overlooks, waterfalls, wild streams, rock shelters, and old-growth forest. Trail guides and maps are available at a kiosk near the trailhead, and—bonus!—restrooms and water stations are located along the trails. To get to the canyon from Tuscumbia, take U.S. Highway 72 West and turn left onto Frankfort Rd. Travel 7.5 miles and turn right onto Loop Road. Go 0.1 mile and veer left onto a gravel road and follow the Cane Creek Nature Preserve Signs to the Lacefield’s Spanish-style home. Parking is on the left, past the gazebo. This tributary of the Tennessee River snakes slowly through the west side of Florence. With easy currents and flat water, Cypress Creek is perfect for beginner paddlers or those who want to while away the hours and maybe catch some fish. In many parts of the creek you can land smallmouth bass, largemouth bass, bluegill, and catfish. For a 4-mile trip, put in at Cox Creek Parkway off of Waterloo Road and take out at Wildwood Park. If you continue downstream another three miles to Savannah Highway Bridge, you’ll see large cypress trees and great blue herons. After a hot day outdoors, cool off with a Codachrome at Singin’ River Brewing . Made with ginger and lemongrass, this light, crisp ale is deliciously refreshing after hours in the sun. Craving something stouter? Another best seller, the Swamper, is a black ale that delivers coffee-flavored notes. 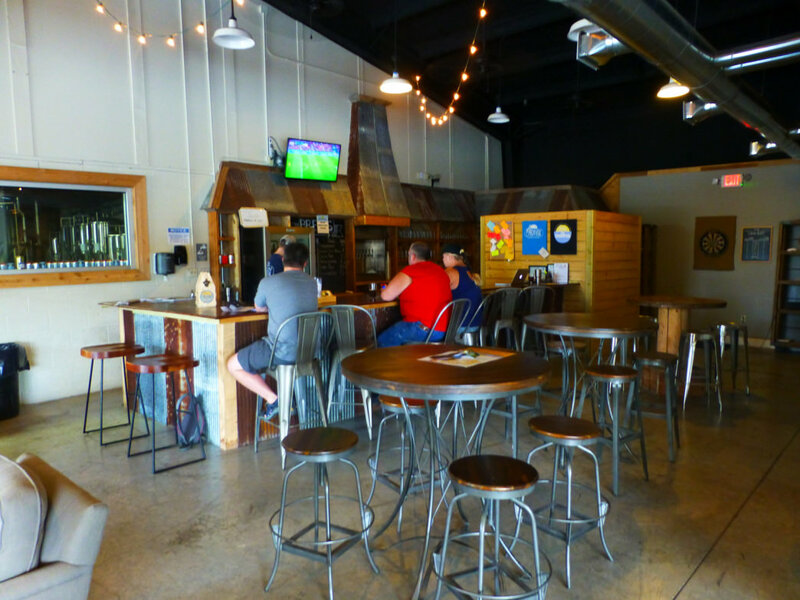 Sink into one of the taproom's comfy couches or chairs to sip your beer and savor the chill vibe of this local watering hole. After you’ve worked up an appetite, head to the River Bottom Grille , a floating restaurant under the O’Neal Bridge. Find a table on the deck overlooking the water and feast on fresh shrimp, crab legs, blackened fish, or other American fare like burgers and grilled chicken sandwiches. A highly recommended pick? The flatbread sandwich filled with shrimp or brisket. Florence is an easy, approximately 120-mile drive from Birmingham, and is 73 miles and a 1.5-hour drive from Huntsville, making it a solid choice for a day trip as well as a weekender. Not up for camping? Choose from several reasonably priced chain hotels. Each July Florence hosts the W.C. Handy Music Festival, one of the top music festivals in Alabama. Add to your adventure with a stop at the Bankhead National Forest, which is right on the way to (or from) Florence from Birmingham.